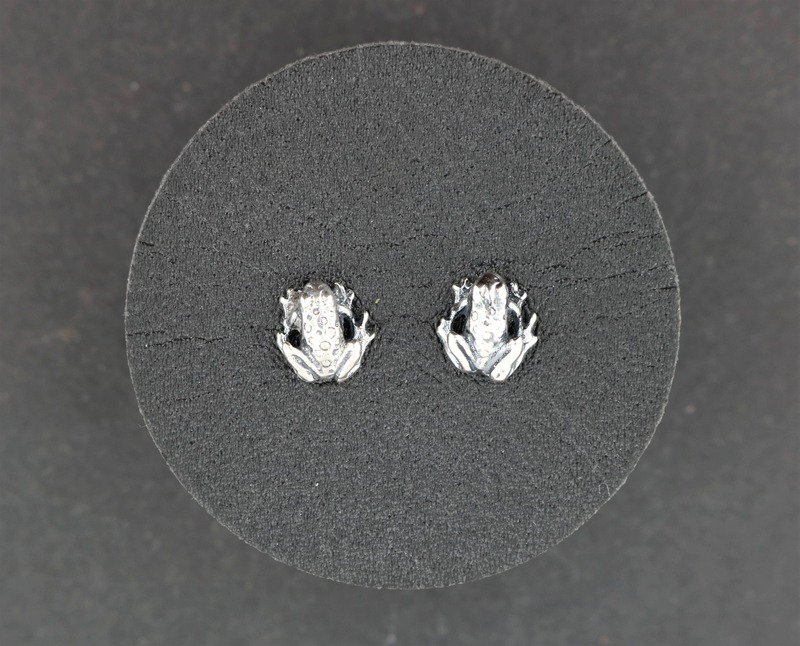 These frog earrings are made in gold to order and are from a collection of master designs I got from a retiring jeweller here in Montreal. 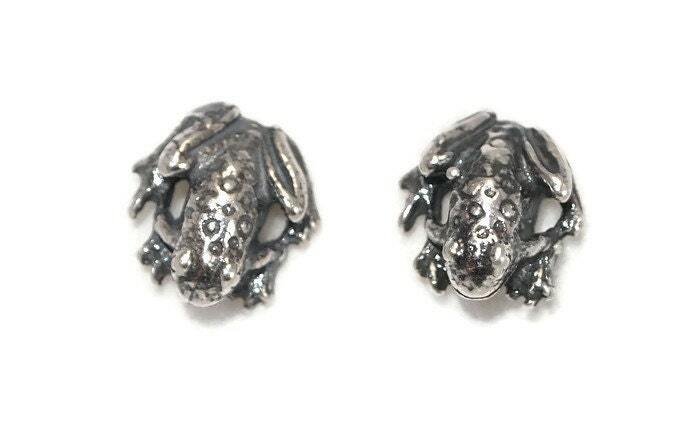 These little frogs are 0.6cm wide and 0.8cm high and have an earring posts soldered in the back. 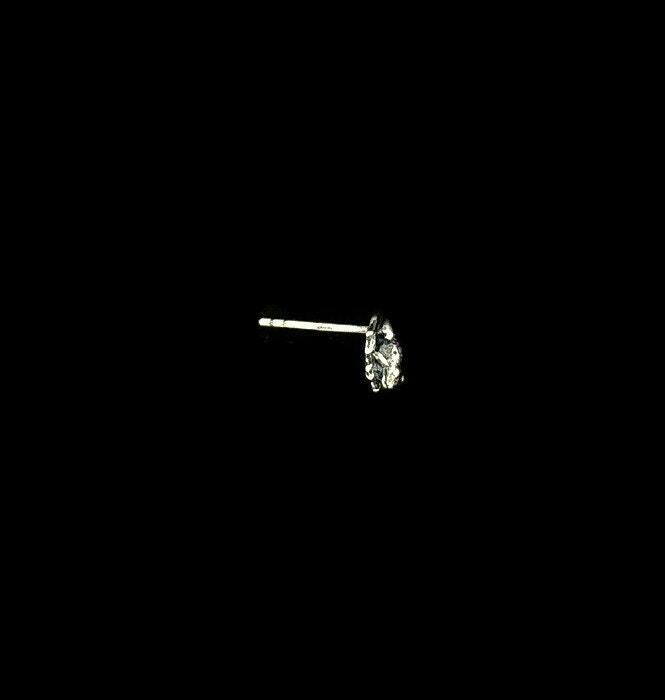 They are small enough to be worn by anyone, including children, or as a secondary earring. Please note that for 18k pink gold earrings, earring posts and clutches will be in 14k pink as they are unavailable in a higher carat by any of my suppliers. The earrings in the picture are the example of them in sterling silver, but wanted to offer the option of them in gold as well. You can choose any carat and color you want and they will take about a week to make for you after you order. Shipping is with insurance and tracking. The original design dates from the 40's-50's, but I made a new mold and started making them in silver to introduce to a younger audience! Great for kids!